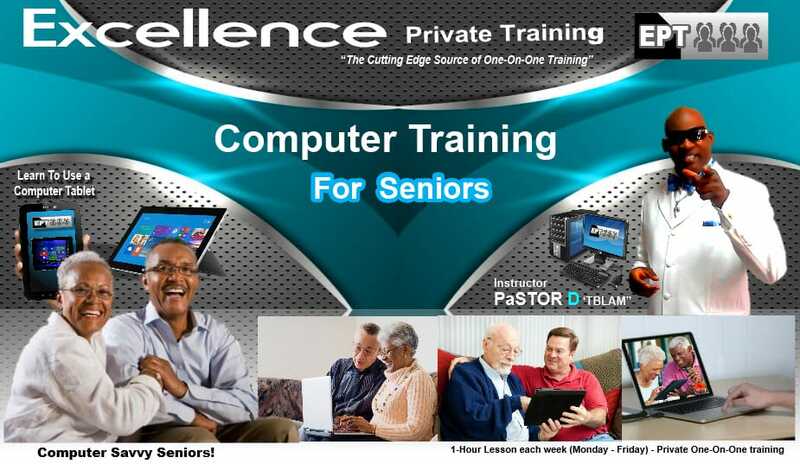 Computer (Elderly) - (EPT) Excellence Private Training Sign up online today! PaSTOR D sign up today for private training (In-Home). We provide piano, guitar, bass, keyboard sequencing, voice, song writing lessons. Also audio & video production graphic design, website designing and ministry preparation & bible training. How awesome it would be for “Grandmother & Granddad” to learn how to send and retrieve email, search the the Internet, look up medicine, research health, etc. Learn to create and manage your own personal email. WOW!